If you are looking for a respectful contractor who you can count on to carry out your house clearance tasks, you have definitely come to the right place. At Junk Removals London our award winning team of very well trained and extensively experienced home clearance experts are ready to take up any task you might have and carry it out up to very satisfactory results. We work all over London, delivering our house cleaning service to a wide variety of clients. Furthermore, you can count on us for either one off domestic rubbish removal jobs, or a regular London based junk removal service. It is all up to you. No matter what your precise needs are, you can count one hundred percent on us to be fully professional and careful at the job, achieving very satisfactory results. An around the clock customer support ready to provide you with detailed information about scheduling your house clearance, the methods that are going to be employed and a free no obligation quote. A team of licensed and fully insured experts who know perfectly well how to do a job right. 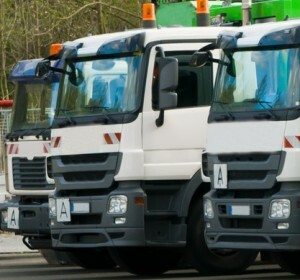 You project carried out with a state of the art domestic rubbish collection vehicles that makes use of the latest advances in the industry for better results. All your rubbish disposed of in an environment-friendly manner. We often say that we are the best house clearance experts in London. This is because it is fact. Currently we are serving thousands of residents from both the City and the suburbs. Our impeccable logistics, large team of experts and vehicles enable us to cover this huge area – over 8000 sq. kilometers and population exceeding 15 million people with ease and always up to the most satisfactory results. Our clients are from all over London, so no matter whether you live in Kensington, or Lambeth, Bromley or Enfield, do not think twice about calling us to take care of your house clearance needs. Do not let domestic rubbish accumulate on your property. It is not only unsanitary (hence, unhealthy), but also not a pleasant view. With Junk Removals London you will ensure a better, more comfortable life for you and your family. The best part is that you will not have to put even the slightest effort in the process. 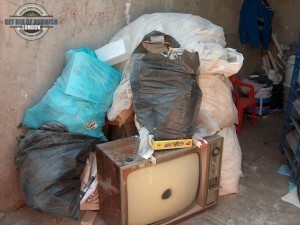 It does not matter whether we will come on a daily basis to collect your trash, or you just need an old furniture collection service, our trained and motivated experts will plan and execute everything, while you simply kick back with a drink in your hand watching us at work, or invest the time and energy you have saved in much more productive endeavors. Feel free to go through the very positive testimonials our clients from all over London have left for our page. By hiring us you ensure your place in the long list of our satisfied customers. Just give us a call today on the phone numbers you see provided here, or get in touch with our 24/7 customer support online via e-mail in order to get further information on our services, request a free no obligation quote for your house clearance project and schedule the day and time it will be most comfortable for you to get a team of our best technicians knock on your door. Junk Removals London is your best choice – do not miss the opportunity to have us work for you.